1) Do not put a burger down halfway through eating it. A proper burger can be picked up only once before it de-laminates into a random pile of ingredients and pink sauce. 2) The Extra Large is there to make the Large look cheaper. It isn't for buying. 3) Do not, under any circumstances, ask the server a question. Unless you are a sweet old lady who has been dragged in by her grandchildren, you should know what you want. 4) Leaving your rubbish on the table is not a war-crime. Do it with a clear conscience or not at all. 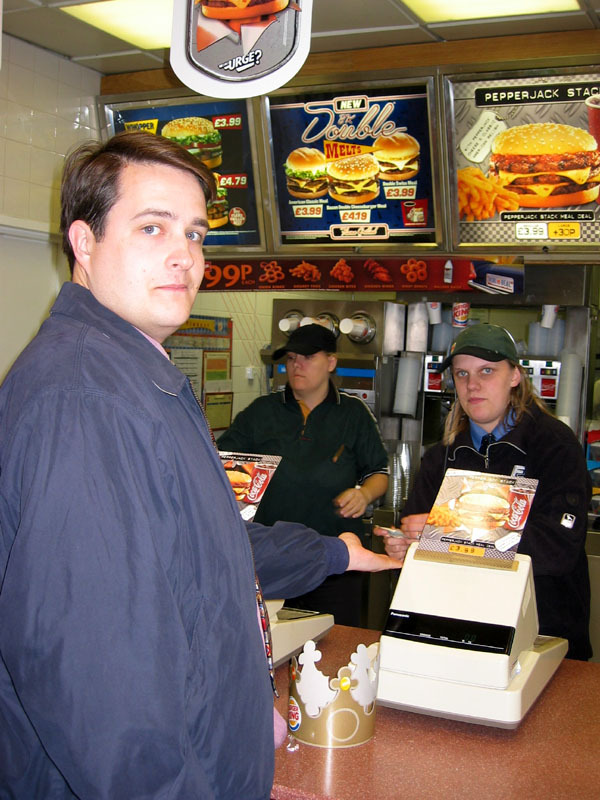 5) If you ask for a drive-through order "to go," you must provide written evidence or ironic intent. 6) Do not allow the server to upsell you more than once. It's OK to go from a burger to a meal, or from a meal to a large meal. It is not OK to do both in the same transaction. 7) If you can see over the top of the counter, you do not buy a meal that comes with a free toy. No, really. I mean it. Never. 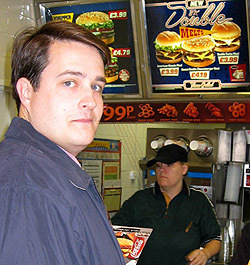 8) Do not get a drive-through and eat it in the car park. If you want the inside of your car smeared with rancid burger fat, ask the dealer to do this at the next service. 9) You may steal napkins, straws and ketchup. You can afford to buy your own salt. 10) Choosing the fish option in a burger place is an anti-Nike. Just Don't Do It.